United Percussion warms up under the tent with some show chunks at NKU before prelims at the Mid-East Power Regional. 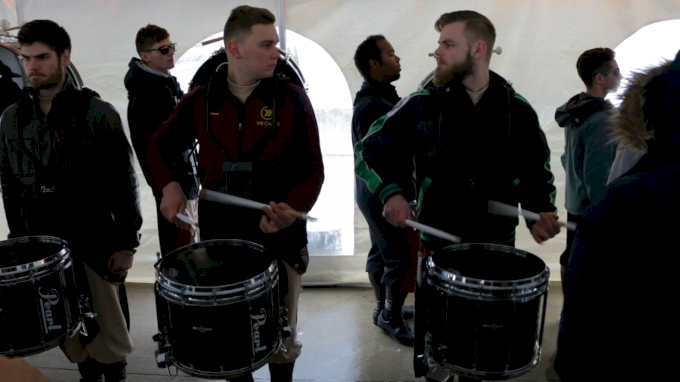 Despite 4-6 inches of snow in the Cincinnati/Northern Kentucky area on Saturday, March 24, the group pushed through the cold and earned an 88.35 in prelims. Watch United Percussion compete in WGI World Championship prelims at the UD Arena in Dayton, OH on Thursday, April 19!